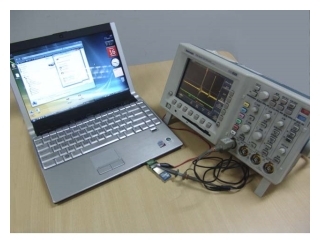 The SD Extender 1.0 is a debug and signal detection tool for Secure Digital Memory Card. It allows a Secure Digital Memory Card to be extended from the host slot for full access to the all of signal pins. It’s especially designed to save valuable labor and time in the production environment. The SD extender 1.0 is designed to minimize the signal degradation effects of the extender by proven design techniques. Separate Vcc and ground planes provide a low inductance path to the host’s power supply. probing of all of signal pins. It’s also a powerful tool for engineers,or use for factory test protection. The SD extender is constructed of high quality components for years of trouble free service. 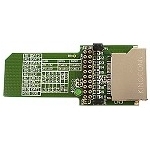 Click the button below to add the SDEX - SD Extender (SD Memory Card Extender) - DISCONTINUED /ORDER EXSD4 to your wish list.